SEOUL, March 21 (Yonhap) -- North Korea's main newspaper called on its people Thursday to step up efforts for self-reliance and tackle what it calls the "most severe hardship" facing the impoverished nation without dependence on outside help. North Korean state media have been pitching for self-reliance on a near daily basis after hopes for sanctions relief and economic recovery were dashed with the breakdown of last month's summit between leader Kim Jong-un and U.S. President Donald Trump. "We have gone through post-war ashes and the Arduous March but the challenges that we have been facing in recent 10 years of the century are in effect the most severe hardship in our republic's history," said the Rodong Sinmun, the official newspaper of the North's ruling Workers' Party, in a commentary. The paper was referring to the economic difficulties the North has been facing due to the global sanctions on the regime. The Arduous March refers a time in the 1990s when the North suffered extreme poverty and massive starvation. "We have to prove that we can open a bright path forward on our own until the end in the face of any kinds of challenges," the paper said. "We cannot abandon self existence even if we starve to death... Self existence is a hard thing to do but it is like a medicine that strengthens national power." It also called for "a strong spirit" so that lives can go on "as long as there is water and air" as well as for "courage and bold creativity of making something out of nothing." The paper noted that dependence is like a poison that makes people lethargic and weakens national power. North Korea has intensified calls for self-reliance after its unsuccessful push for sanctions relief in last month's curtailed second summit between Kim and Trump. The U.S. has since been firm on keeping sanctions in place until the North's complete denuclearization. 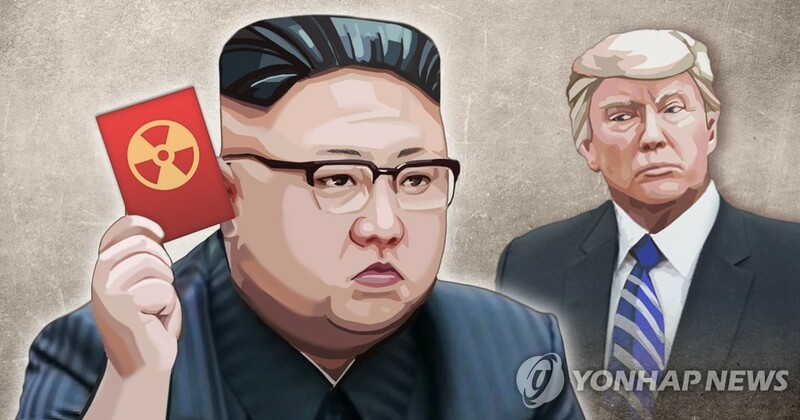 Last week, North Korean Vice Foreign Minister Choe Son-hui threatened to end nuclear talks, saying that Pyongyang would not give in to Washington's "gangster-like" demands. She added that leader Kim will soon decide whether to stay on the course of dialogue.